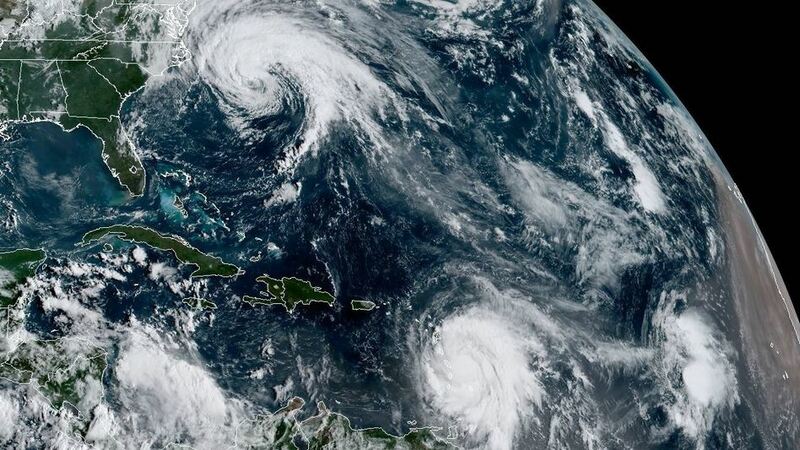 Satellite imagery from NOAA shows Hurricane Jose, along the U.S. East Coast, and Hurricane Maria, in the Atlantic Ocean near the Leeward Islands. Trailing Maria is Tropical Depression Lee. Puerto Rico has recently experienced an extreme climate event in the form of Hurricane Maria, which killed a number of people and destroyed much of the island’s infrastructure. Extreme climate events are bound to become more frequent with climate change and we must be prepared to face the consequences for our cities and regions. There are no “natural disasters”, only ill prepared cities and regions, which suffer from lack of integrated planning that can help them adapt to new conditions. Puerto Rico and other Caribbean Islands are especially vulnerable to extreme climate events that threaten the lives of citizens, and damage infrastructures and economic assets. We believe our summer school can make a difference in preparing young people to shift the way in which urbanisation is planned in the island, producing spatial strategies that allow cities to live with water and “build back better” (BBB), helping Puerto Rico to prepare for the challenges of climate change. For this reason, in 2018 the Summer School will fund one Puerto Rican student entirely (fee, plane tickets, accommodation and other expenses) and will have special fees for other selected Puerto Rican students. In order to apply for this scholarship, please follow the same steps as other candidates for the Summer School, explained HERE. Please note that applications will start on February 1st 2018. “As you know Puerto Rico was devastated after the passing of hurricane Maria (the 100-1,000 year storm everyone was waiting for). We are still without power and poor communications in some areas, but everyday we try to get better. The Summer Course gave me so much information for these kinds of situations and I have this need to share it with my school. An example of the lessons learned is the meaning and action of the word resilience. Resilience is a word i heard many times in the Summer School as a very important value, word and goal. Now it is all I hear with my family, my professor, the government and media. It is a word that shows strength and perseverance, the quality every Puerto Rican can say after surviving this crisis. I believe this word should be demonstrated in our future projects and a goal that should be attainable once we get back up. As future Architects and Urban Planners we should be ready to create resilient and powerful cities that use history and experiences, such as this, as foundations for the future. The School of Architecture in Puerto Rico decided to use this devastation and turn it into an opportunity to rethink and re-create, as every Puerto Rican is doing. The professors decided to give back to the communities in need. Today we visited our project’s site in Loiza, Puerto Rico. Loiza suffered greatly from floods and many lost their house. We found the most beautiful site and community for a Recreational Masterplan. Our initiative starts with the little things as restoring the wooden structures that where use for picnics and revitalising the growth of medicinal plants. With our initiative I was wondering if there was anyway to contact the associations that go abroad to help mitigate the flood problems and create a safe, resilient and recreational environment. This contact would be for the planning ahead and safety of the community. As a 5th year interdisciplinary architecture and art history student from the University of Puerto Rico, hurricane Maria scarred my sense of responsibility as a citizen and future architect, planner, writer and urbanist. Born at San Juan, PR and raised at Carolina, a municipality northeast of San Juan in the Metropolitan Area, hurricane Maria was nothing like two Puerto Rican generations had ever experienced. Two generations had passed since a natural phenomenon with Maria’s magnitude uncovered the poverty behind our natural landscapes and the effects of bad planning decisions. That night of September 20th – 21st I woke up in the middle of the night with dementor-like roaring winds and the continuous clanging from our back-yard aluminum terrace in our front yard. The garage’s sliding doors shook in its canal while our family gardens were stripped stem green and bark brown. It had been 66 days without any electric power until my community’s electric power got restored, but being aware of other municipalities and communities where power nor water will be restored until February abnegates normality. Maria’s aftermath has supported water contamination as life rots in and near the rivers where people bathe downstream. I believe Hurricane Maria has a before and an after because to say, “we are getting back to normal” is to disrespect an archipelago’s diverse collective memory. 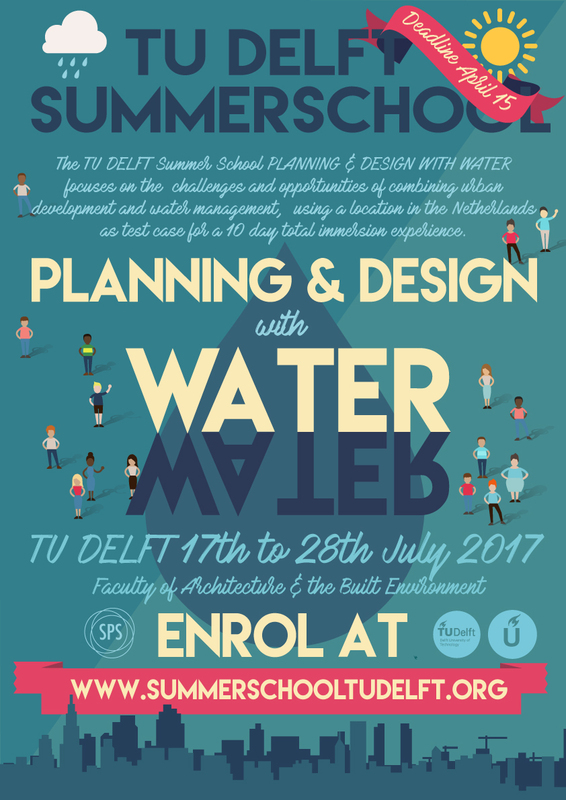 I joined TU Delft, Design and Planning with Water while being a design intern at the local non-profit Ciencia PR as part of the 2016 generation of Puerto Rican Minds in Action. In both experiences, I met globally distributed network-like communities who practice and advocate for scientific knowledge. To me our summer school is a statement of how planning, design and resiliency are interdisciplinary conversations. 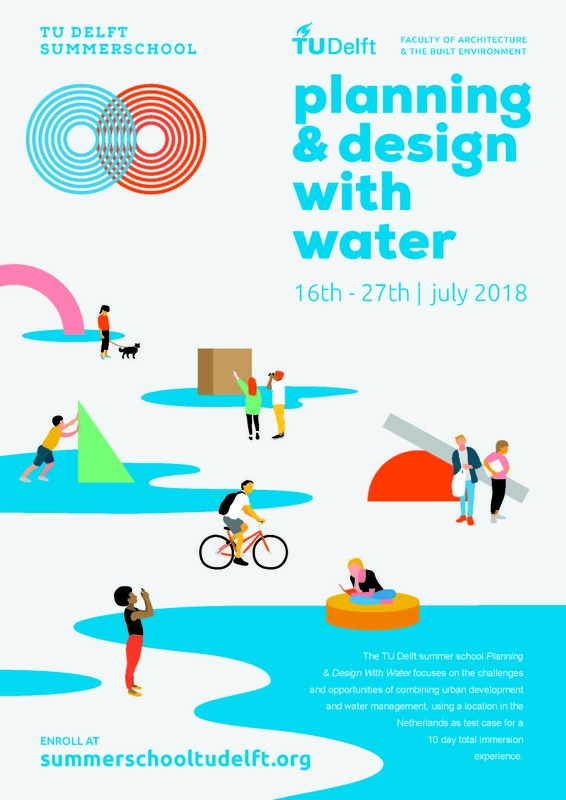 Design and plan with water, not against it. Because without it there is no life. “non-profit Puerto Rican Minds in Action (MPA), I learned that reaching the resilient city, health, urban, political, architectural and economic planning goal will not be possible without citizen participation. The memory our neighbors, who drowned sleeping when our beautiful beaches roared with storm tides. The scared memory of a nation disrespected by a presidential visit circumscribed to the metropolitan area. The image of destruction that crowds our domestic, suburban and rural areas. Remember and work the change.